In 2018, South Sudan's conflict was in its fifth year, with civilians continuing to bear the brunt of a crisis marked by displacement, hunger and disease. Nearly 4.3 million people - one in three South Sudanese - have been displaced, including more than 1.8 million who are internally displaced and about 2.5 million who are in neighbouring countries. About 700,000 people left South Sudan only in 2017. Hundreds of thousands of people fled to Uganda, where the population of South Sudanese refugees peaked at over one million in August. Food insecurity and malnutrition in South Sudan reached record levels in 2017. Diseases such as cholera, malaria, measles spread in 2017. Cholera was most severe, with over 20,000 cases reported, including 436 related deaths. Thirty aid workers were killed in 2017, making it the deadliest year for aid workers on record. Despite these challenges, aid agencies assisted over 5.4 million people in 2017 (UNOCHA March 2018). An estimated 5.3 million people, 48 percent of the population, are currently facing Crisis (IPC Phase 3) or worse acute food insecurity, despite the harvest and continued large-scale assistance. (FEWSNET, 22 March 2018). The number of IDPs in the area of intervention has reached 140.000 people (December 2017, UNOCHA). Taking into consideration the area of thee Greater Equatoria that goes from the municipalities of Yambio, Ibba, Maridi and Torit, the territory has 2.8 million inhabitants, 2 million of which are in need. 830,000 people are in stage 3 "crisis" on the scale of food insecurity, and 275,000 in stage 4 "emergency" (2018). In South Sudan, the Ministry of Health is responsible for healthcare. However, the Government provides less than 25% of health services while 75% of services are provided by NGOs, and a small fraction of the population receives health services through the private sector for a fee. In the current 2017/2018 national budget, the Government of South Sudan has allocated less than 2% of the total budget to the Ministry of Health. South Sudan has one of the worst health indicators in the world. Life expectancy at birth is 54 years. Maternal Mortality is the highest in the world at 2054 per 100,000 live births, while the under-five infant mortality is 136 per 1000 live births. Human Resources for Health, which is one of the most important building blocks in the provision of healthcare services, has been greatly impaired due to the prolonged civil war. In addition to the loss of life in the war, most professionals fled to western and neighbouring countries which diminished the workforce, particularly at key field levels. Approximately 63% of the workforce migrated, 52% to the west and 11% within the region. There are over 700 hundred South Sudanese health professionals in the diaspora. In this context, Amref health Africa, is managing two education centers: (1) the Governmental Maridi Health Sciences Institute (MHSI) where since 1997 has supported training of 556 Clinical officers (out of which 77 women) and 15 Public Health Officers. In 2012, Amref Health Africa has launched also training for midwives: in 5 years, 133 Community Midwives have been trained. In total, the Maridi Health Science Institute has contributed to strengthening the South Sudanese health system with a total of 704 qualified health personnel which corresponds to the 80% of the total qualified intermediate health workers of South Sudan; (2) the Maridi Girls Boarding Secondary School, where since 2012, Amref has been promoting the girls' education to increase the ranks of female health workers nationwide. During the 2 year of project implementation, a total of 150 candidates have been selected to participate to the 3 years training period to become a clinical officer recognized by the Ministry of Health of South Sudan. 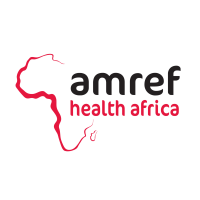 The selection process has followed the national procedures which consists of a commission of evaluation made of representative of the local authority and the local representative of the Ministry of Health as well of Amref. The 150 participants (123 men and 27 women) have been enrolled and successfully trained on the full board of topics foreseen by the national curricula for clinical officer. The training topics included: anatomy, physiology, mental health, pharmacy, gynecology, pediatrics, biology, basic chirurgic, community health etc. The teachers, assisted by tutors have followed up the students and examined them every six months. Not admitted to the following year (or withdrawn for personal reasons) have been replaced by new candidates. The program is aligned with the national curriculum (no revisions were carried out after 2012), and features both theoretical lectures and practical activities. The academic year is divided into two semesters, of 660 hours each. The lessons were given fact each week, from Monday to Friday. The students have been able to follow up their courses despite the difficulties dictated the conditions continuing danger represented by internal displacement in the country. All students were provided in room and board, medical treatments, linens, uniforms, clinical tools to address the practical lessons and various office supplies. Indoor: During the first semester, students were engaged in frontal lessons in medicine, pediatrics, surgery, Public Health, gynecology and obstetrics, epidemiology and bio statistics, communicable diseases, pharmacology, management of health services, mental health. Emphasis was then given over to the creation and definition of the clinical diagnosis in preparation for internships at hospitals. The second half of the year included: pathology, ophthalmology, ear, nose and throat, introduction to medicine, introduction to surgery, pediatrics and introduction to gynecology and obstetrics. In the months of May and October/November, intermediate examinations through the administration of CATs (Continuous Assessment Tests) have been taken, to assess the level of learning with respect to the matters proposed in the course of study. The CATs were presented in the form of written test with multiple choice, open response and short compositions. Outdoor: the three-year cycle of the Clinical Officer Diploma includes, throughout the academic year, several practical activities to exercise what was learned in the classroom. Each year in the month of April/May the intake spent an entire month at the regional hospital Maridi who is both partner and beneficiary intervention whereas disposing students, under the guidance of qualified personnel, a good part of the basic work. Students actively participated in the daily management of the hospital, and under the supervision of the tutors have made history, made diagnoses, prescribed medicines and appropriate care to patients. Moreover, the students - have complied with their practical activities in support of the community, by implementing community diagnostic exercises. In conclusion of the diagnosis, the students produced a report subsequently evaluated by the tutors and considered in the overall evaluation of the student. Between September and November of each year, intakes were committed in the creation of preliminary and final exams. The graduation ceremony, traditional event organized every two years: one was held in 2015 and one has been held on November 2017. The ceremony is an event needed to enhance work and the Institute's commitment to education of health personnel in the country; the celebration attended by the representatives of all the stakeholders that contribute to institutional sustainability, economic and social of the Institute and therefore of the project objectives. Tracer Study is an important tool to analyse the strengths and weaknesses not just of the current curricula but also being a instrument to evaluate the quality of the teaching instruments, facilities and equipment. Despite the difficulties and taking onto account the low level of the local authority capacity to engage into a real and effective process to take over the Institute management - as well as an increase of the level of insecurity which has also touched Maridi State, it has been devoted during each semester, a session with the students to listen their ideas, views and proposals. To have the students feeling free to express their ideas, a panel made of persons external to the context of the Institute have been involved in such exercise. The results of the discussions - when relevant and pertinent - considered to re-address the teaching methods or to establish good practises. Training CV is periodically and officially reviewed by the Ministry of Health (last time 2012) The tracer study (see activity 2.1) has been a useful instrument to adjust the actual declination of the training curricula according to an environment which changes very fast. Each year, it has been conducted a refresh training for the teachers. Moreover, on November 2017, the whole staff of the Institute have participated to a general meeting held by Amref HQ in Juba, to discuss the project implementation, the challenges of the Institute and viable solutions. The 3 days' workshop has been considered very useful by the participants since it has can identify major challenges faced by the teaching bodies and address them. Since 2017, all the team of Amref South Sudan meet quarterly to discuss all projects achievements and challenges. The last QRM was held in Maridi MHSI on February 2018. At the meeting was also present a small delegation of Amref Italy. On a quarterly basis the training staff and administration of the Institute have met with hospital operators and representatives of local authorities involved in the ordinary and extraordinary management of the Institute. In total, 8 meetings have been held. The objectives and agenda of the meetings were fixed based on the quarter's priorities, considering the needs of the students per each period of the year (lectures, planning, etc). During the second and third meeting, the debate focused on the daily management of the Institute and preparation for the final exams. During the third quarter, the staff was engaged mainly in the verification of the CATs and in the preparation and definition of the final exams. Director General for Training and Professional Development; which is the policymaking body based at the MOH-RSS and Amref Health Africa South Sudan Country Office in Juba. Board of Governors (BOG); This is the monitoring and decision-making body on major operational matters at the school level. The BOG is chaired by the Hon. Commissioner, Maridi County. The members are representatives of the departments and sectors in Maridi State. The Senior Management Team (SMT): This is the technical body that implements policies and ensures the smooth running of the program daily. The SMT is chaired by the Principal Tutor. The members are the heads of the departments, Tutors, Logistician, Accountant, Administrator, IT Officer and the Resource Centre Officer. On January 2018 has been defined the new 4 years (2018-2022) strategic plan of Amref South Sudan, which, for the component referred to MHSI, will be implemented by the Institute SMT. Under Result 3) Ability to provide girls secondary educational services with specialization in science subjects is improved. 3.1 Selection and training of teachers. Despite the worsening conditions of security and the consequent increasing difficulty to find teachers available in the Region (movements are difficult and risky) the Secondary School has been able to compose the teaching staff. The area of Maridi educational centers is still considered one of the safest nonetheless, it has become challenging to keep high quality standard. The selection of students has been done in close collaboration with local authorities and the communities. The effort has been to encourage the candidature of girls coming from the Region to enhance the level of girls' education. The increasing level of insecurity might lead to a decrease in the willingness of the family to invest in education. This risk is always very high in a country in a chronic emergency such as South Sudan. It is for this very reason, the School teaching body with Amref and the local authority have committed themselves to work as much as possible in increase the awareness of people on the importance of empower girls to re-build the future of the country. The school as a capacity of 200 students (with accommodation). Currently, each year 150 girls are attending the school. Academic year 2016 - 2017 and 2017- 2018 counts a total staff of 17 members including 5 teachers and 12 support staff. The collaboration with the PTAs - Parents Teachers Association is still going on. The collaboration aims to strengthen the school system and has been possible thanks to the mediation of Amref Health Africa between the community and the educational institution. This relationship started the first year of implementation and now it is even more consolidated. The growing contribution of the community makes it possible to imagine a greater ownership by local and widespread awareness of the importance of a quality education and training, which also targets the female part of the population. As for the curriculum followed by the girls, it underlines the importance given to science subjects with a preponderance of hours devoted to the study of mathematics, physics, biology, chemistry, agriculture, English, history, geography, the teaching of the Christian Religion, accounting and basic economics fulfill the educational framework at school. Two of extra teachers have been financially supported by the project, 4 other teachers/tutors are supported by the community through the Parents Teachers Association. - Focus groups and discussions with other school going girls about social interest topics such as the importance of investing in female education in the communities. - Health and hygiene education. - Girl-students participated in trips arranged in hospitals and clinics in the area to meet nurses and medical staff who could help them understand how the education they are receiving today might turn into a job tomorrow practices. - The school participated in the construction of radio campaigns on the empowerment of women citing examples of those who received education in their communities. - Several groups of women were invited to meet the students at school to tell their personal educational and work experience, with the goal of increasing the motivation of students to study thanks to a concrete model for inspiration. - Medical students from the nearby school Maridi Health Science Institute and women belonging to the Association Empowerment South Sudan were asked to sensitize students on health and medical issues. - Teachers organized a series of motivational meetings with students with those who have experienced a decrease in performance during exams in mid-year. Moreover, during the 2-scholastic year covered by this report, the girls have brought forward the so-called life skills and entrepreneurial activities, including sewing classes, rearing of sheep and cattle and farming. Those projects are essential to develop the skills necessary to work at the end of the courses, teaching students how to create and manage micro-activities. In addition, they help the most disadvantaged students, whose families are unable to take full charge of their health and nutrition. The parents and teachers Association PTA has been vitalized during 2017. It has been one of the most important goal in terms of the impact that such group of persons can play on the community. The PTA conduct regular meetings (at least quarterly) with the school teaching body to identify and face together the challenges and finding solution. They also have created small fund for the school which has already covered some school expenses such has hiring an extra teacher. The PTA is always represented and has an active role in the meeting held with the LAs and its voice is more and more considered. Under Result 4) The two Institute capacity and quality accommodation is improved and preserved. The 2 Institutes requires constant maintenance of the spaces to keep the environment where the students study and live at the best of its possibility. As foreseen, during the year 2017, a Science Lab has been realized in the Girls Secondary School and equipped with the needed material. Moreover, the teacher's rooms have been restored. The project has supplied the schools with several types of goods. In addition to ordinary purchase of the teaching material and the stationery, the purchase of new uniforms. At MHSI about the training activities, students were provided with medical kits, uniforms and linens. For training, it has been purchased clinical tools for practical lessons (indoor and outdoor). Food was provided on monthly basis, purchasing fresh goods (fruit and vegetables, meat and eggs, milk) and dry goods (dried beans, various flours, salt and spices etc.). For the realization of the project, the following means of transportation were adopted: in addition to the one motorcycle, pickup trucks (of which the school is equipped - 2), and a bus for students (specially for community diagnosis activities and national events to attend). Gasoline was bought to guarantee the use of means, as well as oil for the management of the school generators. The school is also equipped with an electrical system connected to the national electrical grid, an almost unique and extraordinary element. Unfortunately, because of the Country instability most of the people flow away and stopped paying electrical fees. The consequence was a general stop in supplying. Gasoline is therefore, together with water, key elements in the Institute's management. As mentioned above, the worsening security condition in the country is a worrying factor for the capacity of the 3 Institutes to continue supporting the students with the same highquality standards. At the same time, movements are becoming more complicated and fear is also contributing in decreasing the level of confidence on education by the community who sees in danger their basic needs. Moreover, the LAs are at the same time, more and more incapable of commits and engage into investments, which is another challenge.